Mangaluru: July 6, 2015: BSNL Dakshina Kannada Telecom District is involved in connecting all the 349 gram panchayats on optical fibre in the current year, said deputy general manager N Vishweshwara Bhat. He said the work is being taken up under Government of India’s National Optical Fibre Network project. "Approximately 470 kms of fibre and connecting equipments are being installed under the project. This will provide sufficient bandwidth to the gram panchayats in Dakshina Kannada and Udupi revenue districts," he said. The project will facilitate Digital India programme of the Government of India in providing the appropriate infrastructure to the rural areas for extending the services using information technology and its tools thus breaking the digital divide. 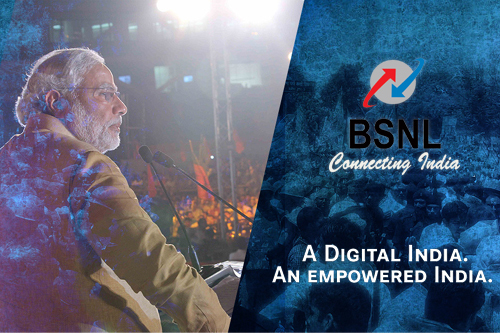 BSNL DK has planned install Next Generation Network (NGN) exchanges at eight locations - Bykampady, Surathkal, Urwa, Kodikal, Manipal, Udupi, Ajjarkad and Brahmavar. NGN will enhance the features on the landline network using IP switching and thus enabling all types of services like voice, video, data, multimedia, messaging, content delivery, mobility, broadcasting, multicasting and other types of communication services, Bhat said. BSNL DK will also has planned to provide wi-fi coverage with multiple hot spots in select important locations. Mangaluru International Airport has been taken up for extending the facility. BSNL 4G Wi-Fi Hotspot will allow users ultra speed broadband internet connectivity, he added.